If you are a person that enjoys reading about pirate treasure, and outlaw caches, or about any treasures, as many others do, then you’ve come to the right page. Oak Island: Fact or Fiction? No other treasure story has brought more attention than the Oak Island buried treasure mystery. The Oak Island treasure is a story filled with controversy. Talk to most treasure hunters about the Oak Island treasure and you’ll get responses that range from “there is nothing buried there”, to “a treasure was buried there by the pirate Captain Kidd”. Whether you’re familiar with the Oak Island mystery or not, I’ll give you my ideas of what I believe the Oak Island treasure is, and why it’s there. However, before I do that, I will give you some background history about Oak Island. For those of you who are not familiar with Oak Island and the buried treasure story, this introduction about the islands history should help you understand my idea of what buried treasure is waiting to be recovered. 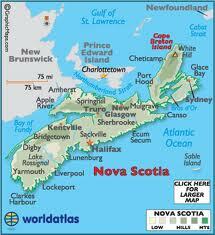 Nova Scotia is a peninsula located on Canada’s southeastern coast. Oak Island is located on the south shore of Nova Scotia. Paleo-Indians inhabited the island 11,000 years ago. The idea of the Vikings having lived there also has been debated. The first European settlement in Nova Scotia was a French settlement in Acadia at Port Royal. However, throughout the centuries, there have been many debates as to how many explorers and settlements actually existed before the French settlement at Acadia. Those questions, like the questions about Oak Island having a lost treasure story, or should it be a buried treasure story, or a no treasure story is part of the drama behind the Oak Island mystery. Some will argue that the Norseman crossed the Atlantic before Columbus. There are those that say that the Vikings reached North America by 1101 A.D.
Excavations on Nova Scotia also found Viking ruins that dated in the 1500’s. Of course any good lost treasure story begins mostly with the Spaniards. The Spanish fleets of treasure laden ships moved quite often between Europe and North America. The Atlantic Ocean and the northern shores of the New World where Nova Scotia and Oak Island are could have been not only a resting place for pirates, but a burying place for treasure as well. Any of the above could have buried treasure on Oak Island. However, as you will soon see, the question really is…did they have the means to do so? As any lost treasure story goes, or for that matter any stories about buried treasure, they can all be labeled as fiction, until the treasure is found. The Oak Island treasure is one of the most intriguing treasure hunting lost treasure story because of its lack of proof of a treasure existing there as well as the stories longevity. In the summer of 1795, three young boys, Daniel McGinnis, John Smith and Anthony Vaughn were playing on Oak Island. Young Daniel who was sixteen noticed a spot on the ground that looked as if it had been recently uncovered. Fifteen feet above the ground, swung a ships tackle hanging from a sawed off tree branch. On the tree were carved strange looking markings. Boys being boys, and having heard lost treasure stories about pirates and buried treasures the three teenagers began to dig in the impression. Visions of a buried treasure danced in their heads. After digging a two-foot hole the boys found flagstones that had been carefully placed in the hole. The three boys also noticed that the flagstone was not a type of stone that could be found on the island. They removed the stones and realized that they were indeed digging in a hole, or shaft that had been previously dug. Could a lost treasure story be coming true they thought. Sure that they were on to a buried treasure the three boys kept digging. When they reached a depth of ten feet they encountered a platform consisting of oak logs. The boys removed the logs and dug down to a depth of twenty feet. At this level they came upon another oak log platform. Now sure that a buried treasure was not far from their reach the boys kept digging. When they reached the thirty-foot level they encountered another platform of oak logs. However, by this time the boys could dig no further without help. However, the help did not come. The three young treasure hunters could not persuade the local farmers to help them in their search. Their own lost treasure story was beginning to look more and more like fiction. For a few years the digging stopped. Doctor Simeon Lynd’s the family Doctor of John Smith, one of the young treasure hunters, heard about the boy’s efforts. Doctor Lynds, whose office and home were located on the mainland decided to invest in the search for the treasure. Doctor Lynds was the first of many syndicates to invest money in the Oak Island lost treasure story. Using ropes and pulleys to dig to the ninety-foot level Doctor Lynd’s workers uncovered another oak platform. After removing the oak logs the workers came upon another flagstone. The flagstone was also inscribed with a code. However, the inscription could not be deciphered. That was until a local professor at a nearby college was asked tom look at the inscription. The professor told Doctor Lynds that the inscription was interpreted to mean that there was a buried treasure another “forty feet below” where they were digging. The coded inscription was a common one used at that time. The letter “E” in this type of a code was simply substituted by a symbol, or a cipher. Once all of the substitutions are made, the code is broken. If slabs of stone, oak log platforms and coded inscriptions weren’t enough problems, another one became dangerous. As the crew dug deeper water began seeping into the shaft. In order to continue their efforts without drowning in the deep pit, the workers had to dig a second shaft a few hundred feet from the original shaft and tunnel to it. However, this attempt failed and another shaft further away was dug with the attempt to again tunnel over to the first. Over the years cofferdams were built to stop the water from flowing into the shaft. As more and more different syndicates began to invest in the Money Pit, more sophisticated machinery was also brought in. In the late 1800’s a farmer plowing his field uncovered a coin that was dated 1317. The above date is important and may hold a clue to the treasure buried on Oak Island. Interestingly enough, the coin along with the inscribed stone has mysteriously disappeared. If You are going to dig for lost treasure, know the law! Books about buried treasures .